Click here to download the Accompanying Guest programme. This journey is a birds eye view of Dubai’s many wonders. The magnitude of Dubai’s mega developments is best viewed from the air, which is why a seaplane tour of Dubai is considered a must. 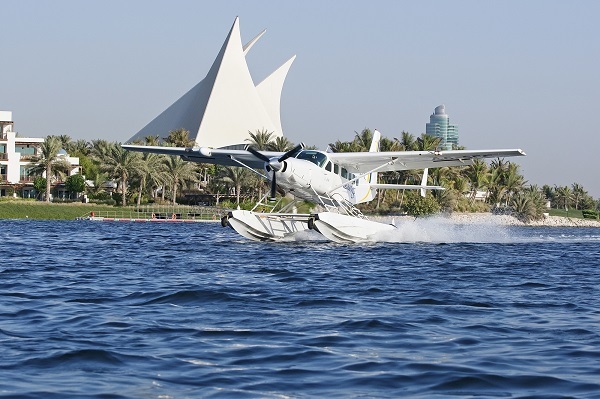 Prepare to be wowed as you take to the skies, swooping close to global icons such as the Burj Al Arab and Burj Dubai, as well as famous manmade offshore developments including The Palm Jumeirah and The World. Dubai’s transformation into a modern metropolis is truly revealed as your skilful pilot guides you over some of Dubai’s most vibrant districts, from Dubai Marina to Sheikh Zayed Road. Abu Dhabi is the capital of the UAE and consists of 80% of the total land area of the UAE. Many of its striking examples of modern architecture show intriguing interpretations of Islamic themes captured in today’s materials. Shimmering skyscrapers, villas and palaces line our route along the Riviera – style Corniche with its blue Gulf waters and enticing offshore islands. Highlights of the day will be a visit to Sheikh Zayed Grand Mosque and Heritage Village. The tour begins with a drive along Dubai’s Beach Road where guests can catch a glimpse of the magnificent Jumeirah Mosque and the glamorous beachside royal palaces, before heading to the city’s historical heartland, Al Fahidi Neighbourhood. It ranks as Dubai’s oldest district and is home to many buildings and experiences that tell the story of this captivating city. During the morning we will visit the Gold & Spice Souks, the Textile Souk and enjoy a walk through the Al Bastakiya neighborhood. 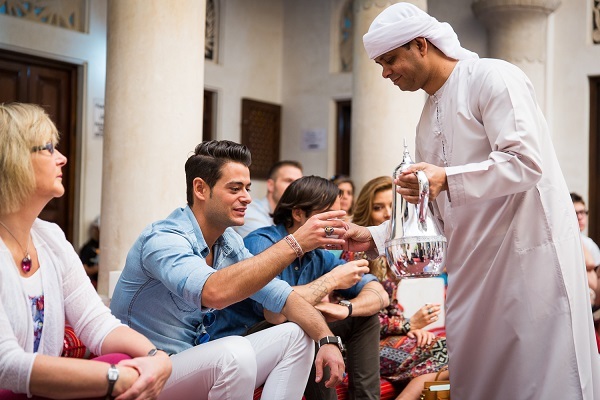 The tour will end with a traditional meal at Sheikh Mohammed Centre for Cultural Understanding (SMCCU) while chatting with an Emirati host about the UAE’s culture, customs and religion. 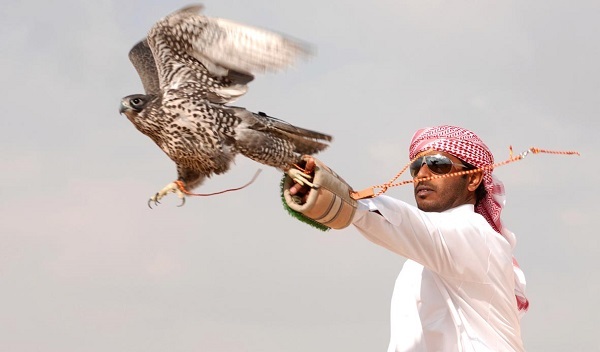 Gain an in-depth understanding of the traditional and noble art of falconry with an opportunity for a hands-on close encounter with hunting falcons in the desert. Enjoy a leisurely dune drive from the Dubai Desert Conservation Reserve to the falcon campsite, but make sure to look for majestic Arabian oryx en-route. At the falcon campsite, you will learn about a selection of falcon species and the ancient art of falconry while watching experts fly the falcon.